It’s the end of January and I took this photo a couple blocks from my house. 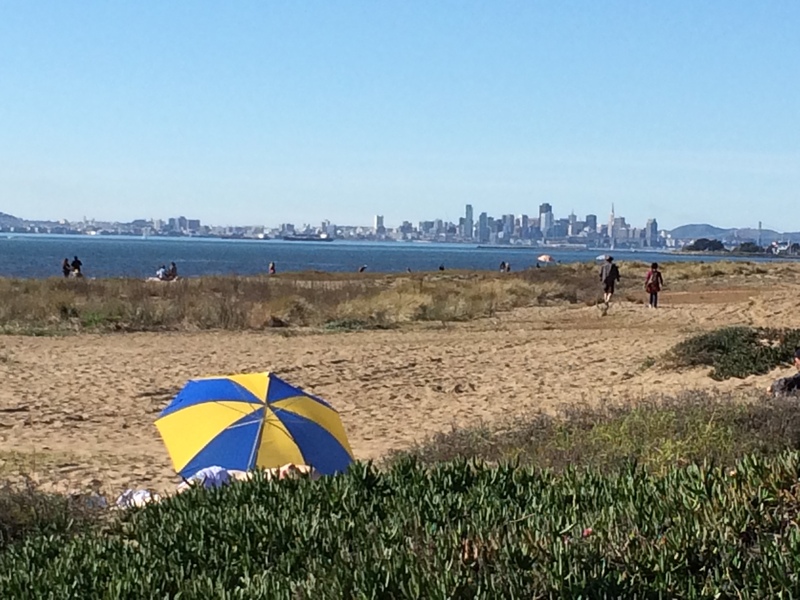 This is the beach fronting the east side of San Francisco Bay. It was 72 degrees and people were walking around in bathing suits. For those on the east coast, I’m not sharing this to make you jealous. It’s a real problem, actually, because it hasn’t rained at all this month. That’s right. For the first time since they started keeping records there has been zero precipitation in the region during the month of January. So the drought continues. There is still a chance it will break in February and March, but it’s going to have to rain like hell. Meanwhile my relatives in Amador County, California, have placed a water tank on their property because their well ran dry. In the grand scheme of things perhaps I shouldn’t even mention that the ski season is a bust so far, but it’s not just that I’m getting burned on fair use of my season pass; the people who live in the Sierras rely on ski season for their livelihood. At this point I almost feel like planning an expensive trip to Whistler as sort of a rain dance. You know: as soon as I blow a wad of cash to hit the slopes in British Columbia, it’ll start snowing hard in California. I’m heading out to Las Vegas tomorrow for the Super Bowl. I should have some good fodder for the blog on Monday. Happy Super Bowl, whatever your loyalties. I’m not betting on either team, though I may do the over under thing. To go off on a tangent for a moment, Marshawn Lynch of the Seahawks is a clueless turd. He thinks he doesn’t need to speak to the media during Super Bowl week. Newsflash: you’re an entertainer, Marshawn! Yes, you play football, but you do it for the entertainment of the fans. There’s a wrap-around structure called the National Football League. Without that wrap-around and the media that goes with it, no one would care if you played football. Your media strategy during Super Bowl week is not entertaining in the least. Neither is grabbing your crotch after scoring. So get over yourself and act like the highly compensated entertainer you’re supposed to be. Wow! The Oakland Raiders have just defeated the San Francisco 49er’s, likely ending the 49er’s playoff hopes for this year, and possibly ending the 49er’s coaching career of Jim Harbaugh. There is speculation that Harbaugh will leave San Francisco at the end of the season to take the head coaching job…in Oakland. That’s a weird aspect of this win for the Raiders. More about that later. 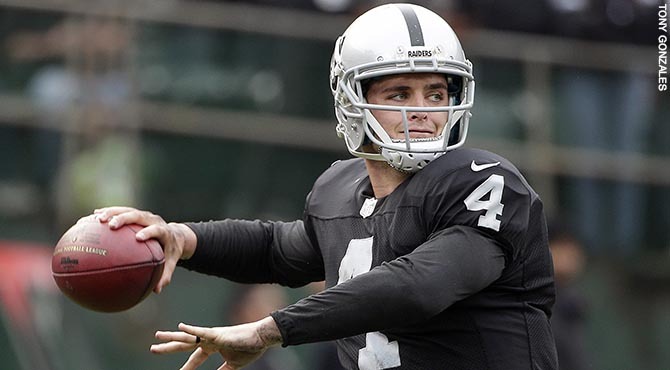 First, the Raiders’ quarterback, Derek Carr, was outstanding today. He’s the reason they won the game. Second, no one saw this coming. Not realistically, anyway. The Raiders lost last week in a blow-out. There was absolutely no reason to think that a team with one win this season would even be competitive against the 49ers. The Raiders had nothing to play for except pride. This is what I love about sports. The intangible elements somehow come into play from time to time and dictate an unexpected outcome. So, on the question of whether Harbaugh moves to the Raiders, I think this game made that unlikely. This game is a manifestation of Harbaugh’s recent problems controlling his team, as evidenced by unattributed reports from 49er players that he has lost the confidence of the players. It would be interesting to see if Harbaugh could help turn around the Raiders, but I think it would be more interesting to witness the second coming of the last great Raiders coach, Jon Gruden. If I had a vote, I’d take Gruden over Harbaugh any day. He’s won a Super Bowl, knows the Raiders organization as well as anyone, and doesn’t carry the baggage of Harbaugh’s recent problems. I sign off with a hopeful comment: Go Raiders! The picture doesn’t tell the story. All the really bad shots have been taken off the website already. I was a Raider season ticket holder for 10 years. I quit when I took my daughter to a few games and figured out it was an inappropriate atmosphere for an infant. Now that the Raiders have become an embarrassment, I’ve concluded that they are inappropriate for adults, as well. At least for this season. Gawd, it’s pathetic that I can’t be more definitive and just cut the cord; say Adios to Raiders fandom completely. For I have seen this season, and, in particular, last Sunday’s game. This is the first and probably the lone post I will ever do flaming a sports team. That it is focused on a team I care about is a measure of the shame I feel after witnessing the completely lame Raiders performance against a team, that, while competent, is not on the level of the Kansas City Chiefs. The Raiders beat the Chiefs last week (their first win in over a year), which makes the manner of this week’s loss that more ignominious. But more than that, they didn’t score. Meanwhile, the other team (who I won’t mention; this post is not about them) scored 52 points. 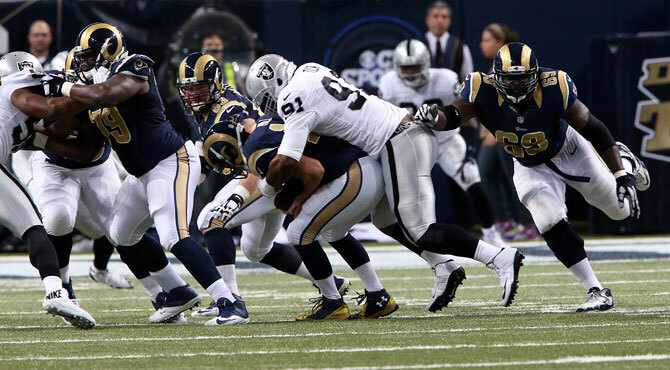 The Raider’s season was lost way before this latest humiliation. It was already garbage time. But garbage time exists in the context of a game, or a season, or in general. This last game was garbage time in any possible context; the pure manifestation of an NFL franchise in the process of creating bad, no, unacceptable, content. They’ve been doing it for years now. I don’t presume to know how to lead the Raiders back to greatness, but here’s a thought. Mr. Davis, please realize that, while you may one day possess the smarts to make the right hiring decisions to restore the team to greatness, you can retain ownership, but for the time being, the key hiring decisions should be made by someone who has more football experience than you have. The only hiring decision you should make, with close consultation with trusted experts (and with listening to people you don’t necessarily trust; you want to know what your enemies don’t want you to do); is to hire someone to make key decisions for you. This Sunday the Raiders play the 49ers. I have cognitive dissonance around this game, because the Raiders’ season is already over, while the 49ers need to win to have a plausible chance of making the playoffs. As it stands now, I prefer rooting for the local interest than rooting for garbage time, as much as that hurts. There is perhaps nothing more American than an auto show. Many of the best cars are made in other countries, but no other country identifies as strongly with the automobile. It is part of America’s cultural identity. 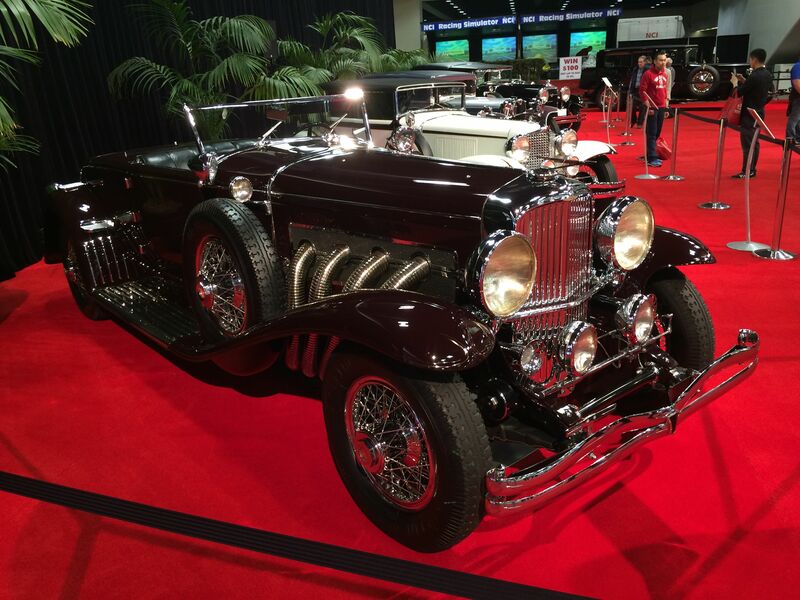 My favorite part of the auto show is the collection of classic cars, like the Duesenberg shown above. I didn’t take a photo of the description card, so forgive the lack of details, but the Duesenberg has a supercharged engine that generates over 300 horsepower and allows the car to achieve a top speed of 124 mph. That’s pretty impressive, and ironic, considering it was built in the 1930’s during the depths of the Great Depression. By the way, if you ever happen to be in Indiana and you have some spare time, be sure to check out the car museum in Auburn, near Fort Wayne. The museum contains a collection of classic Auburn, Cord, and Duesenberg cars, along with a collection of classic Indian motorcycles. The museum is located in Auburn because that is where the Auburn, Cord, and Duesenberg factory resided back in the day. I try to attend the auto show every year, but this year I had a specific purpose. The lease on my car is about to expire and I need to decide whether to turn it in, or pay the residual and purchase it outright. I’ll spare you the suspense: I’m going to buy the leased car. I’ve also decided that I will never again lease a car. It makes no sense for me. Oh well. Sometimes you try these things and they don’t work out. My theory at the time was that I didn’t want to be locked in by purchasing, but I really like my leased car, and I didn’t find anything at the auto show that I liked better that was around the same price point. There were other cars that I liked better than my car, but they were way out of reach. An example is this sweet Rolls Royce. This is the new Flying Spur. The base price is around $470,000. They had a rope line around the Rolls, so you couldn’t get near it, much less sit inside or kick the tires. There seemed to be a price point of around $80,000, above which the attendees were not allowed to sit in the cars or get close enough to touch them. An exception was the Land Rovers. But even then you weren’t allowed to sit in the big Range Rover, which has a base price of $124,000. I don’t know whether other auto shows have the same policy, but it’s very frustrating, and emphasizes the dividing line between the average person and the one percent. 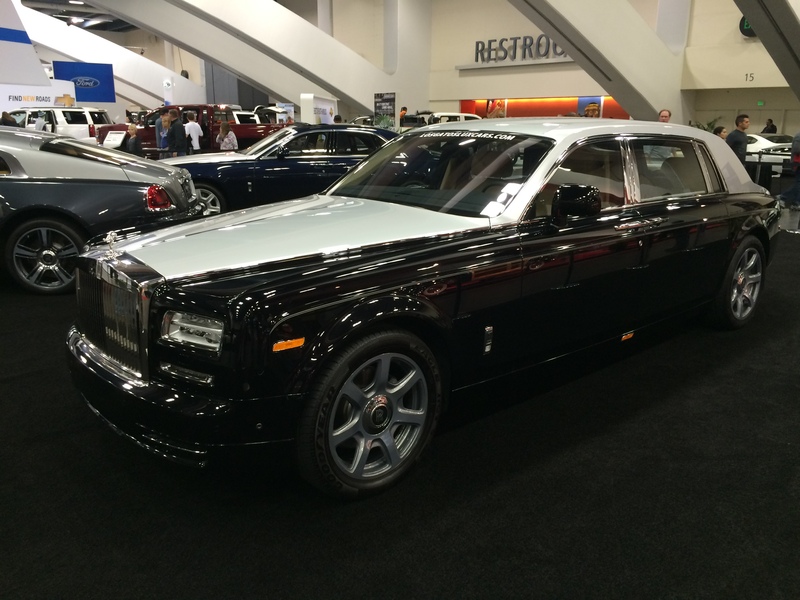 Of course, I really don’t know what I’d do with the Rolls, even if I could afford it. For one thing, my house has no off street parking. For another, I think I would feel too conspicuous driving it around. I wonder if people who own cars like these even drive them, or if they just let the chauffeur do that. It would seem like an awful waste to own one and never even drive it. I think it’s better to dream about a car like the Rolls in the abstract than to actually own one. 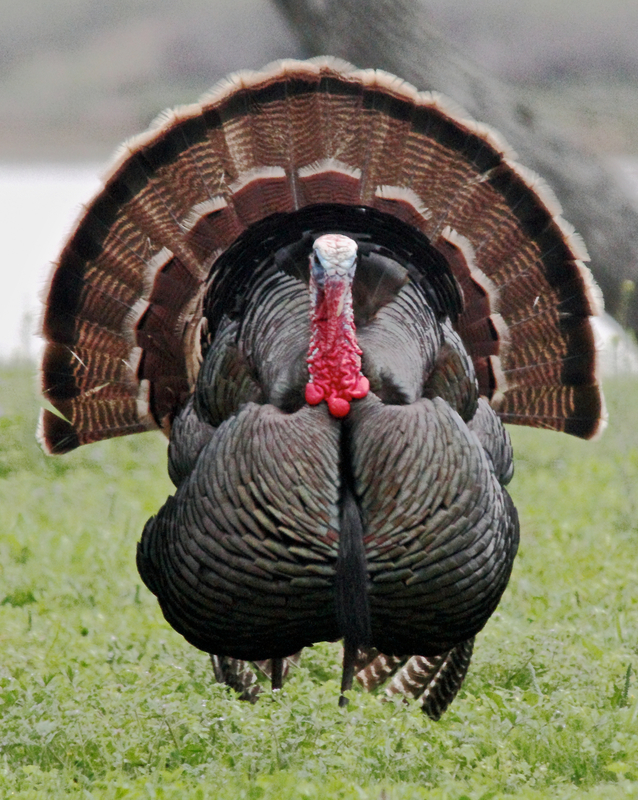 It’s hard to decide whether I like Thanksgiving better than the 4th of July. They’re both unique to America and rooted in it’s history. They’re both identified with a particular sport; football with Thanksgiving and baseball with the 4th of July. The main difference is that the 4th of July is a celebration of the nation, while Thanksgiving is more a celebration of family. I guess maybe it comes down to whether you prefer hot dogs or turkey. This year I’m thankful for my continued good health and that of my daughter. I’m thankful that she is doing fairly well in school. I’m thankful that her broken leg is completed healed, though the jury is still out as to whether she will resume snow skiing this season or next. I’m thankful to have a good job. Two of my close relatives are out of work right now and struggling a bit to find new employment, so steady employment is definitely something to be thankful for. And, if all that weren’t enough, it’s going to rain starting Saturday! And not just a little bit; it’s going to rain four days straight! Maybe the drought is finally coming to an end. You know it’s bad when you get all excited about rain on the weekend. Happy Thanksgiving to everyone and remember to take a few moments thinking about what you’re thankful for as well. It makes the holiday that much better.